Conceptualized by Creative Director and Designer Jonathan Anderson, Chance Encounters first launched its series in Miami in 2015 within the walls of the LOEWE Miami Design District boutique. For the fourth installment of this exhibition, Jonathan Anderson has chosen the works of German artist Andrea Büttner, British ceramicist Ian Godfrey and artist Anne Lowe. 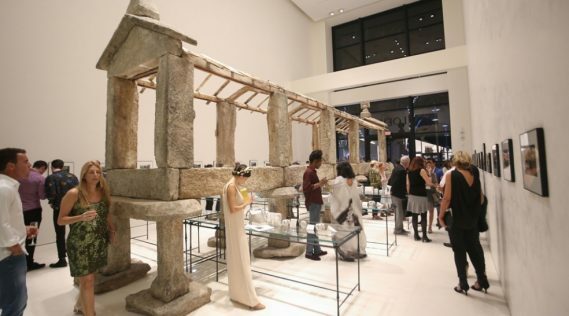 Their work will be exhibited from December 4 – January 31 at the LOEWE Miami Design District store. You will discover pieces from ceramic to hand-woven textiles and woodcut printing, most created using old techniques but nonetheless fascinating pieces that will be a sure way to start dialogue with the present. Design District Loewe Store Address: 110 NE 39th St.